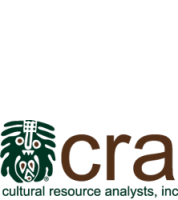 CRA Archaeologists Featured in "The Missouri Archaeologist" | Cultural Resource Analysts, Inc.
CRA has exceptional individuals at the helm of each project. Each individual is an expert in their respective field and area of interest. Andrew Bradbury, Rich Herndon, and Brian DelCastello all shared some of their expertise in articles featured in The Missouri Archaeologist. Andrew Bradbury has authored countless articles and books throughout his career. His latest contribution to The Missouri Archaeologist discusses the radiocarbon chronology for Archaic Period Sites within the Avenue of the Saints Project conducted by CRA in northeast Missouri between 2004 and 2006. In 2003, the Rohlfing site was discovered during a survey for a proposed bridge replacement. Rich Herndon and Brian DelCastello discuss the findings and importance of the site in the latest volume of The Missouri Archaeologist. Herndon serves as a prehistoric ceramics specialist, along with his other titles at CRA, while DelCastello provides lithics expertise. Combined, the two share a wealth of expertise while interpreting the Rohlfing site in their latest article. Congratulations Bradbury, Herndon, and DelCastello on the recent publications. If you are a member of the Missouri Archaeological Society, you have access to The Missouri Archaeologist. If you are not yet a member and are interested in joining, you can visit their website.